There are a lot of cool things in there, dealing with online communities in the early 1980s through the early 1990s and then on the internet more than BBSs thereafter. Something Rick Lambert wrote back in the summer of 1984 which kind of sums up the fun we had. Ran on an Apple ][+, and an Apple ][ clone from Franklin, a Laser clone briefly (I think) and an Apple //e at various points. Rick died in 1989 (heart attack) and both Alan and I lost a good friend and all around good guy. Alan and I still keep in touch by email since we are 1000s of miles apart (instead of 30 minutes), although not nearly as much as we used to when The Rising Sun was up. continually growing as new people call. talk about some old memories. it was crushing to a whole group of us after rick died and alan just didn’t have the heart to keep the board up anymore. great to hear that some of the old folks are still around. i’m still in contact with quite a few of the ‘family’ and will be happy to point them in this direction. 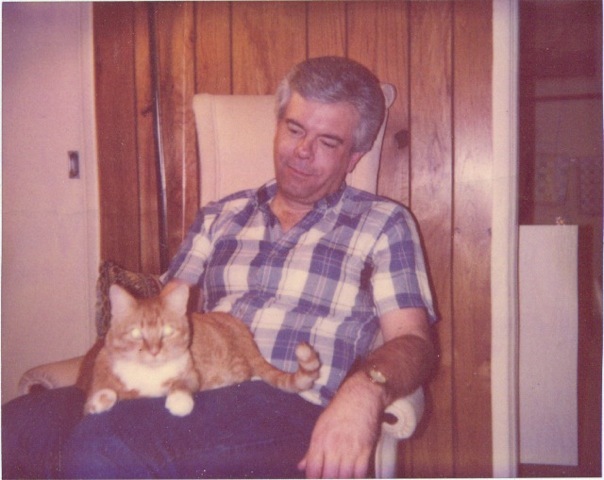 He and Alan used to come over to my parent’s house for holidays, they were great friends. I’ll attach a picture of Rick to the main post since I don’t think I can do it here. i remember going to my first pride fest the summer of 89 with alan, rick, tinkerer, noel, greywitch, aldebaran (can’t remember his nick on the bbs), lana fox (has anyone heard from her)? some great memories from back then. 🙂 will pass this link along to greywitch, aldebaran/elowan, tale weaver, and a coupla others. i miss the old BBS days, particularly the rising sun tremendously. there were always intelligent conversations and open minded people to be found on the subs! I miss the conversations and the great fun we all had on the boards. Rick was a character. He and Alan were like older brothers to me. They genuinely cared about people, had fun using the technology to enable communication with people. They were always so enthused about new things we’d add to the software. I never had a conversation with them which didn’t put a smile on my face no matter what was going on. After my dad passed away, they were there – not that I had expected anything different – but they were amazingly supportive of me and my mom. Just two really great and caring people. I recall the “Vane Ving.” Another favorite was when he’d have an issue with someone (which he was generally over within 20 minutes of having it), he’d refer to them as “the enema.” His other online persona with “Basura Blanco” was a riot too. I will have to re-read some of the stuff on the bbs captures at some point. There are a ton of people I haven’t heard from in years – Dream Weaver or KK (Kathleen Kennedy) in years either. I don’t know if you know/remember, but Rick and Alan had some really nice salt water aquariums. They’d drive down to Key Largo or the 18 mile stretch on the way there sometimes and fill up big trash cans full of salt water there to change the water in the tanks. It always seemed like a huge hassle, but the tanks and fish were really great. There are a few people from the boards who are friends with me on Facebook – Ken A, Tom S etc. Feel free to look me up (http://www.facebook.com/chfriley ). I think I still have copies of all the files sections from the boards on disk somewhere too. I know there were tons of “cheats” and stuff for games there…not sure if it is worthwhile digging them out. What a great trip down memory lane. Gosh I was young! Great memories! I look forward to reading through those files. I also wonder what happened to some of the other South Florida BBS personalities — like Lee Casler and others from the “Emerald Cavern” BBS, MaryAnn and Alan Page (“The Cable Box”), etc. Toby, thanks for telling me about this blog entry. I had read part of this somewhere before, but it’s always good to see other people that actually remember those times. It was a lifetime ago. I’ll always remember my first…computer experience, that is. I only remember JediKnight was my nemesis on 3057557172. I’d love to figure out what source code the game that was on there tapped into, for old time’s sake.